The image of Vienna as a musical city is a familiar one. Vienna has long been associated with many of the most significant composers in Western music - from Haydn, Mozart, Beethoven and Schubert, through the Strauss family, Brahms, Bruckner and Wolf, to Mahler, Lehar, Schoenberg and Webern. Today, venerable institutions like the Vienna Philharmonic Orchestra, the Staatsoper and the Vienna Boys' Choir, together with the shared pride of residents and visitors in its musical inheritance, ensure that the image of a musical city is undimmed. 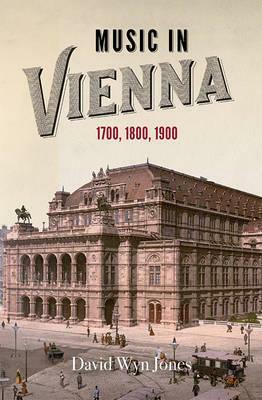 This book explores the history of music in Vienna, focussing on three different epochs, 1700, 1800 and 1900, an approach which allows the very different relationships between music and society that existed in each of these periods to be distinguished. Patronage, social function and audience are key considerations, set within wider political and cultural developments. The volume is populated by emperors, princes, performers, publishers and writers as well as composers, and deals with institutional and commercial characteristics alongside representative individual works. Music in Vienna focusses on the political and social role of music, broadening our understanding of the city as a musical capital. It will appeal to a wide readership, including music historians and political, cultural and social historians, as well as the interested general reader. DAVID WYN JONES is Professor of Music at Cardiff University.